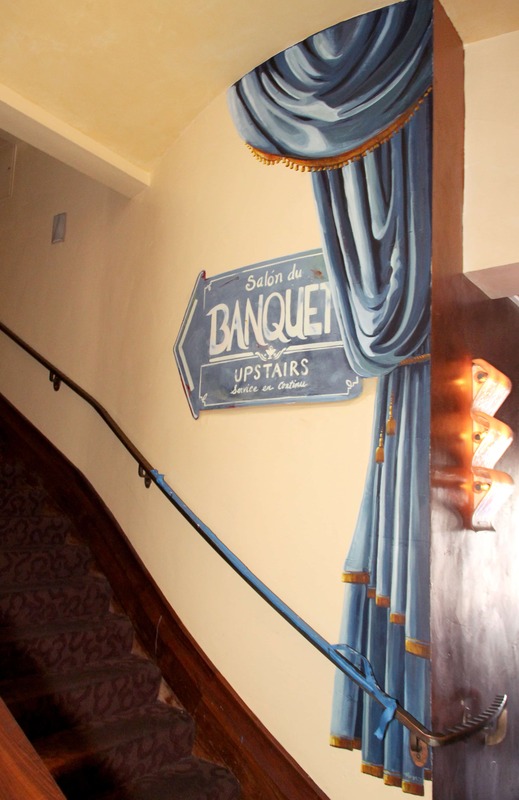 I painted these Trompe L’Oeil curtains to dress up the stairway that leads up to the banquet room at Tarragon Restaurant in Sunnyvale, CA. 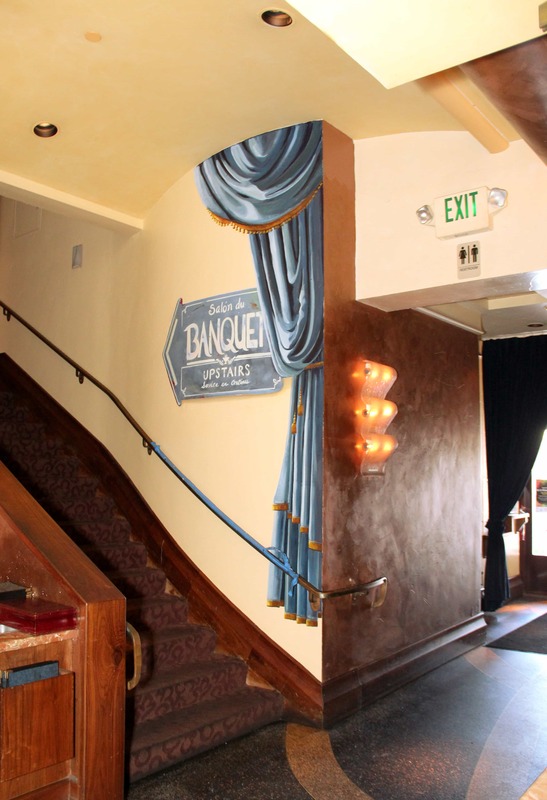 Many clients were getting lost, going down the wrong hallway or having to ask two or three different wait staff for directions. 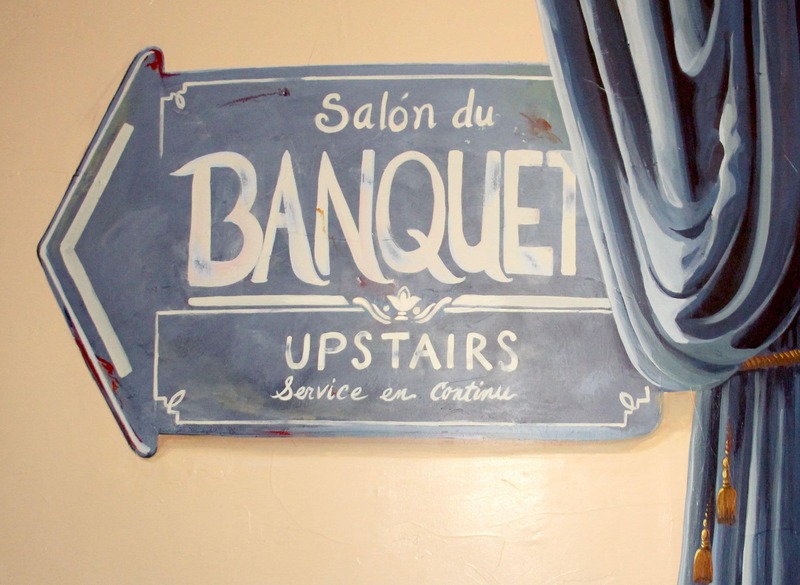 Now it is clearly visible from the front entrance, but it is also attractive and fits in with the other blue curtains and French elements in the restaurant.